Serving as president of YMBL & ASC is not just an honor and a privilege but it’s an immense responsibility to carry forward a 105-year legacy of cultivating today’s young professionals into tomorrow’s community leaders while also ensuring the safety and prosperity of Austin Sunshine Camps. It’s a responsibility I’m humbled to assume and I remain committed to serving these organizations to the best of my ability and always with their best interests at heart. Now halfway through my tenure as president, I’m pleased to provide the following report of the state of YMBL & ASC along with an outlook for the remainder of the year. Led by Danny McKinley, YMBL is making great strides to improve the quality of membership and engagement opportunities for our alumni to remain connected to our organizations. We’re hosting quarterly happy hour events, improving the consistency of our communications, and recalibrating our efforts to reflect the kind of engagement alumni seek with our organizations. As we celebrate YMBL’s 105th year as an Austin institution, we’re also gearing up for an outstanding Legacy Bash this Fall, which is our annual event honoring YMBL alumni. Contact Casey Kelley (caseyhkelley@gmail.com) should you have interest in attending, sponsoring, or volunteering at this event. Carrying forward (past president) Daniel Becka’s directive to “share our story,” we have launched new initiatives to more effectively communicate our message both internally and externally through email and social media content. Speaker Series - Our monthly speaker series continues to feature impressive business and community leaders such as Alex Williamson, Chief Brand Officer at Bumble; Jan Ryan, Director of Creative Entrepreneurship and Innovation at University of Texas; and Ron Favaron, Chairman & CEO at Spredfast. Website & Technology - As our organization matures, so must our infrastructure. Earlier this year, we implemented automation tools to streamline the onboarding process for new members and enhance our communication efforts through campaigns and analytics. We have also worked alongside a group of University of Texas students to build an app that will enable us to track member participation and engagement and take proactive, data-driven measures to ensure we’re offering a valuable membership experience. 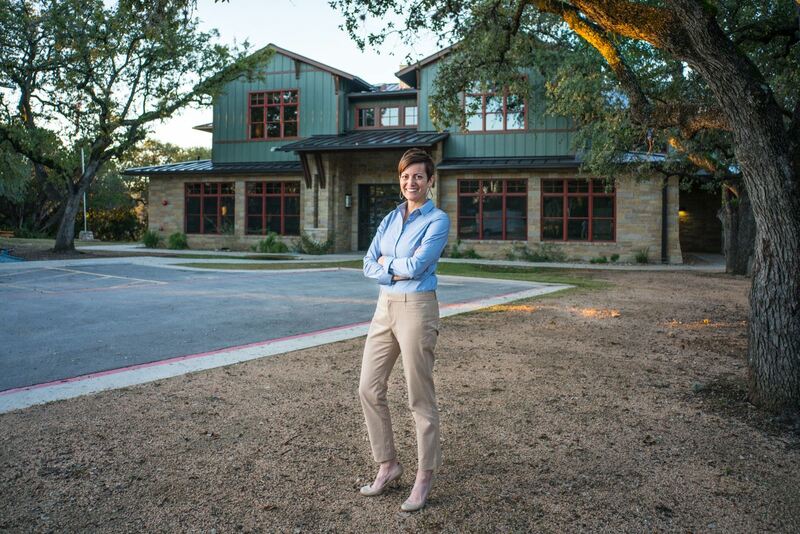 Zilker Lodge - Preserving our multi-million dollar assets in the heart of Zilker Park and on Lake Travis is one of the most critical responsibilities our organization holds. Over the past year, we’ve built out a building operations manual to fully understand the unique needs of our facilities and developed a proactive plan for both maintenance and upkeep of our most precious asset. Capital Investments Fund - At the tail end of 2017, the YMBL board of directors established a capital investments fund as a mechanism for ensuring capital reserves for emergency maintenance and strategic investments in our facilities in Zilker Park and Lake Travis. Alongside ASC CEO, Erica Blue, I am developing a comprehensive plan that will govern the use and access of these funds and establish a sustainable framework for replenishment and growth of the fund, which we intend to present to the board for approval within the coming months. Our annual individual fundraising campaign is one of our oldest and most treasured initiatives as YMBL Men because it generates roughly the equivalent of one-third of ASC’s annual revenue. Not only is this an important skill we bestow upon members as community leaders but it supports our longstanding tradition of providing the only weeklong, residential, overnight summer camp program for underprivileged kids in Central Texas, all at no cost to our campers’ families. Led by Bobby Rosales and Ross Taylor, this year’s campaign generated $300,000, which will provide an exceptional summer camp experience for more than 800 kids this summer. Additionally, we launched a new initiative this year to leverage the power of our networks by inviting them to directly fundraise on behalf of ASC utilizing our fundraising platform, which generated nearly $35,000 in donations sourced from non-YMBL members. This new strategy will be a game-changer for our fundraising efforts over the coming years. The YMBL Man - Earlier this year, our membership ratified amendments to YMBL’s bylaws that provide for greater accountability and quality of our membership through enforcement of membership requirements and utilization of our provisional membership structure. Most importantly, we expect this initiative will yield greater engagement for members and greater fulfillment of our mission to support ASC through revenue and volunteerism. Member Experience - The value we provide our members directly correlates to their ability to create meaningful engagement with our organizations and this begins with the onboarding process. Since January, we have thoroughly audited and re-engineered this process to ensure we’re setting new members up for success as they enter the organization and greater camaraderie through new member retreats, introduction to their Service Team, and orientation to ASC. Current Stats - As of this report, YMBL’s membership consists of 219 members, 29 of which are first-year provisional members. James Baker and his team have done a marvelous job this year coordinating YMBL members each session as we support ASC’s programs through our volunteerism. We’ve seen strong participation at each of the weekly events and our campers consistently overwhelm us with positive reinforcement of what this level of engagement from YMBL members means to their experience at ASC. Sunshine Run - Led by Jay Horn and Nolan Woyner, the 5th annual Sunshine Run was one of the most successful races in history, resulting in a record number of 2,351 runners participating and a record net profit directly to ASC. Austin Under 40 Awards - This year marked the 20th annual Austin Under 40 Awards, which we host in partnership with Young Women’s Alliance. Thanks to Hal Williams’ leadership, we set numerous records this year including more than 1,000 unique nominations submitted and approximately 100% year-over-year growth in net proceeds from last year. Spring Fling & Fall Fling - As a new benefit for members, we launched an initiative to offer access to these events at no cost to members who maintain active membership status. Although it’s just the beginning, we look forward to establishing additional value-adds to our membership and we look forward to your feedback on this initiative to ensure we’re aligning our member benefits to the interests of our membership. Above all, my topline objective as president is to ensure organizational and financial stability of Austin Sunshine Camps. With an annual budget that has doubled within the past five years; a nearly 100% new staff since January 2018; and fundamental changes to the nature and quality of our programs, the majority of my time and focus this year has been spent ensuring our new team has the support, institutional knowledge, and resources to fulfill the mission we all care so deeply for. Without question, one of my proudest achievements as president thus far has been the role I’ve played in elevating the sophistication of our staff infrastructure and the quality and efficacy of the programs we deliver. Specifically, we’ve hired Erica Blue as Chief Executive Officer; Megan Grayless as Chief Development Officer; and Lawrence English as Chief Programs Officer, amongst several other staff I’m excited to have on the team. Not only do each of these individuals bring the highest levels of experience, expertise, and professionalism to ASC - as well as deep personal connection to our mission - but I firmly believe their leadership will set ASC on a trajectory that enables us to achieve a new precedent for the quality of programs, impact, and measurable outcomes we seek to offer Austin’s underserved communities along with a sustainable funding mechanism to support the current and future needs of our beloved organization. We’re committing to our core and I have full confidence in a strong future for ASC with this team at the helm. In closing, I would not be able to provide such a report as this if not for the hard work and dedication from my board of directors and ASC staff. I’d like to take this opportunity to thank each of them for their trust and confidence in my vision and their efforts to move these initiatives and our organizations forward. I would also like to thank each of you for your support of Young Men’s Business League and Austin Sunshine Camps. Whether you’re an active member, provisional member, or alumnus, your dedication to our organizations enable us to carry forward our 105-year legacy of cultivating today’s young professionals into tomorrow’s community leaders through our mission to Connect, Lead, and Serve. Looking ahead, I’d like to share a few specific ways which you can directly support our efforts and deepen your engagement with our organizations. Support ASC through a direct contribution or by joining us as a Sunshine Keeper. Invite your donors and/or friends and family to learn more about ASC and our mission during a camp tour on August 2nd or an alternate time. Join me at one of Erica’s presentations of her 2018-2020 Vision for ASC, which will be held on August 13 and August 15. Sponsor and/or join us at the YMBL Classic, our annual golf tournament. Sponsor and/or join us at Legacy Bash, our annual alumni event. Interested in serving in a leadership capacity in 2019? Just as I closed my first board meeting as president in January, I’ll leave you with the following words from Theodore Roosevelt, which I carry with me every day as personal inspiration for my service to each of you, the missions of YMBL & ASC, and the leadership we seek to bring to our community. 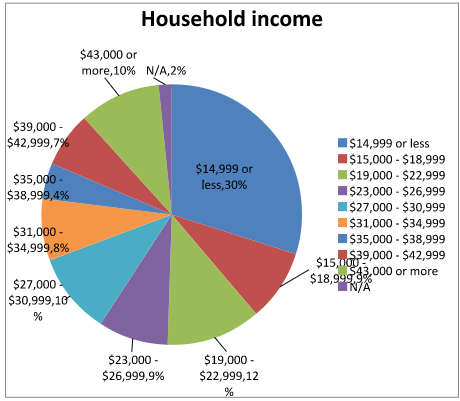 In Austin Independent School District alone, nearly 60% of students are low-income, meaning their family of four earns $44,000 a year or less. An additional 20% are thought to qualify as low-income, but never complete the district’s application. And did you know that more than half of the achievement gap between low and middle//high income students is due to unequal access to high-quality summer learning opportunities? In Central Texas, one in four children are at risk of hunger, a number that is 25% higher than the national average. Summer Camp Program: Since 1928, every single summer camper has been low-income and has attended our week-long, residential summer camps -- free of charge. When a child arrives at Austin Sunshine Camps, they enter a completely different world. They enter a world of new and friendly faces, where fun and unlikely friendships define each day. For a majority of our campers, many born in Central Texas, it’s the first time they’ve ever seen Zilker Park or felt the water of Lake Travis. They get three square meals a day, discover self confidence in the treeline of our ropes courses, and experience the unfamiliar warmth of caring mentors like you. Sunshine Afterschool Program: Since 2014, every single student has been low-income and has received programming five days a week for three hours a day -- free of charge. Our Sunshine Afterschool program focuses on outcomes related to STEM, life skills, and outdoor learning. 90% of our students improved their math grades from the beginning to the end of the year. Perhaps more importantly, 70% of parents reported that they saw a decrease in behavioral issues since their child began attending Sunshine Afterschool. While the mission of our organization is to engage and empower youth through education and outdoor experiences, I know first hand that the full impact we have on a child’s life cannot be measured. I was a low-income kid myself, the first person in my family to go to college. In the sixth grade a friend invited me to a week-long overnight summer camp. Her parents paid my way. The experience I had that week changed my life forever. My worldview was expanded, my curiosity was sparked, and I haven’t looked back since. It has become my life’s work to give to others what many people gave to me along the way -- support, time, and a belief in me that I didn’t have in myself. They value connecting with others, fostering leadership and serving those who are less fortunate. And our community needs you. 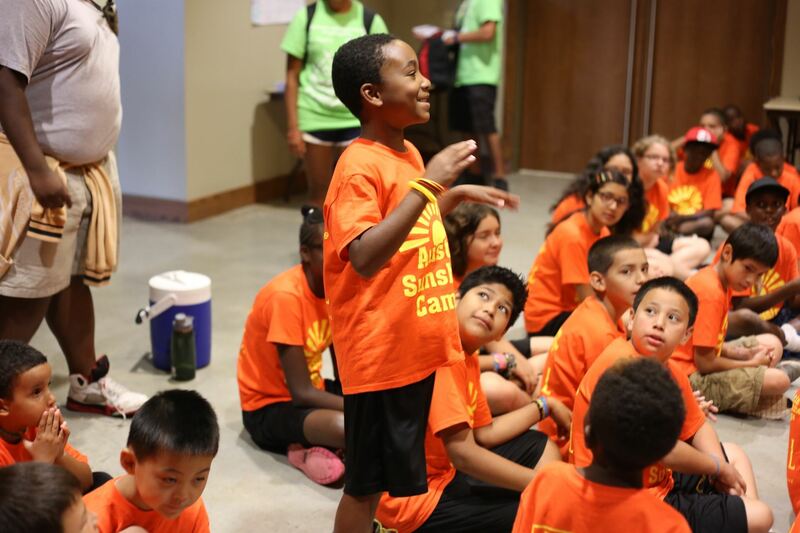 The summer campers and afterschool students of Austin Sunshine Camps need you. They need your support - both financially and by sharing our story. They need your time - as a volunteer and as a mentor. They need for you to believe in them - as a student and a person. The research is clear, children are much more likely to become successful adults if and when they have trustworthy and successful role models in their lives. With every dollar raised and every hour spent with a student, you help weave together a fabric of strength and belief in the less fortunate youth in our community. You give them hope and you give them a chance for a bright future. Now that our beautiful Zilker Lodge is up and running (deep bow to all of you who were involved), we must create a future-focused financial model that is both achievable and sustainable. One that accounts for quality, impactful programming. One that attracts rockstar talent and inspires them to make a career at our organization. And most importantly, one that aims to serve as many children as our facilities and programming will thoughtfully allow. It will take the work and dedication of each one of us. It will take all of our connections, perseverance, and determination. And it will take smart, calculated decisions, and innovative, steadfast strategies. I am honored to lead us into our next 90 years, and build upon the inspiring work that has come before us. 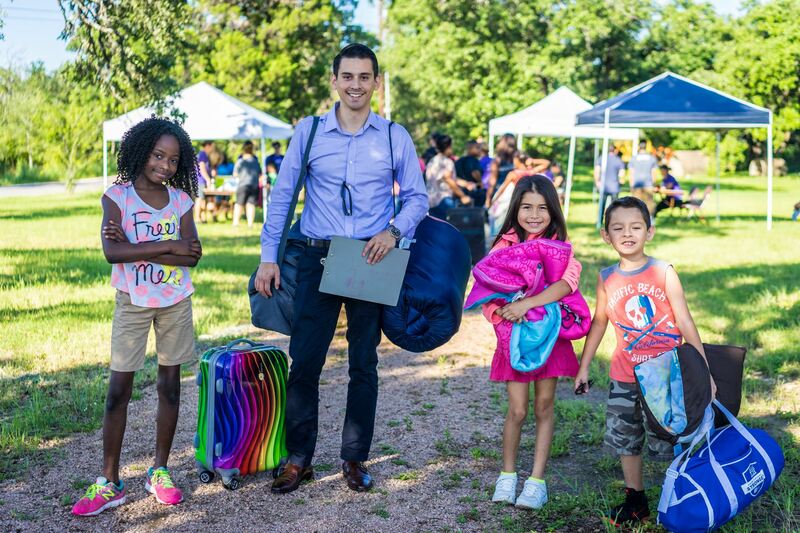 Austinites, these children -- our community -- deserve our very best. On behalf of every child whose life has been or will be impacted because of your service, thank you. 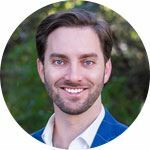 We are so pleased to announce that we have hired a new Chief Executive Officer of Austin Sunshine Camps (ASC). Erica Gordon will be just the fifth full-time leader of our organization in its 90-year history and we are thrilled to share this news with the ASC community as she reports to her post at Zilker Lodge on Monday, January 8, 2018. 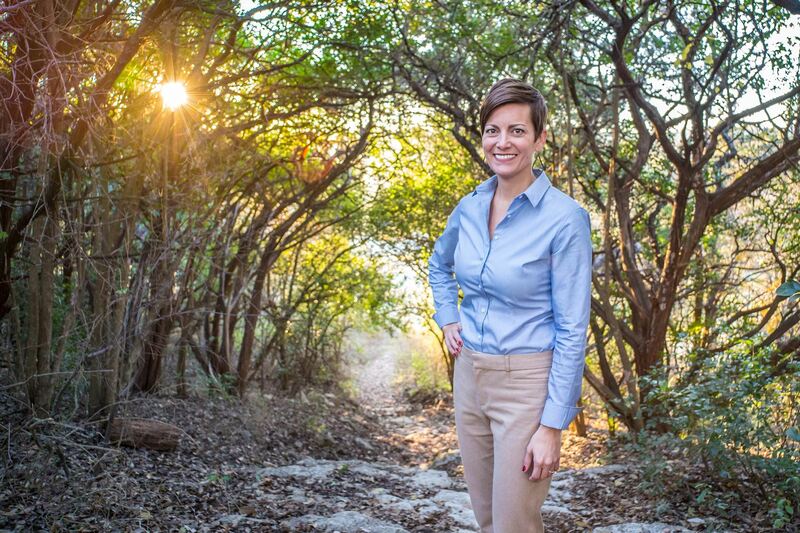 Erica’s passion for ASC’s mission stems back to her upbringing on the Southwest side Houston. In the sixth grade, a friend invited her to attend an overnight summer camp. Her experience there would change her life forever and spark a sense of curiosity that still drives her today. Erica began her career in the private sector, where after six years as a software consultant, she couldn't shake the desire to find a more mission-driven career path. She moved to Austin in 2006 and joined AmeriCorps. Following her first year of service, Erica became the program director for College Forward, a nonprofit that helps low-income, first generation students get to, and through college. Erica has spent the past four and a half years at Marathon Kids, first as chief programs officer and most recently as chief operations officer and interim chief executive officer. Erica was instrumental in building and managing the team, programs, and national partnerships that have enabled the organization to grow from three to all fifty states. Erica holds a B.A. in Communications Studies from Sam Houston State University and a M.S. in Communications Studies in Human Relations from Texas Christian University. She is currently a board member and the strategic planning committee chair of ATX Kids Club and is a member of the Michael and Susan Dell Community Collaborative for Child Health. When she's not working or volunteering, you can usually find her with her fiancé and their two daughters exploring the great outdoors. For many months we searched diligently for the most qualified and dynamic person to step into this new leadership role. The YMBL Executive Committee reviewed more than 150 applications for the position, and heavily weighed 30 of the top candidates. The best applicants represented diversity in gender, ethnicity and professional experience. We spoke to candidates who had been heavily involved in non-profit and child development, and others who were new to the field to ensure we left no stone unturned. Our board of directors and staff met with three of the top candidates and provided feedback to the executive committee. The search was thorough, fair, and wide in scope. The feedback about Erica was universally positive. She conveyed exceptional qualities of leadership and intellect. She also carried a deep understanding of a growing organization, the challenges it faces, and how to build a framework for a successful future. Erica is passionate about our mission, a natural fit with our staff and organizational culture, and she brings with her a strong network of relationships throughout the Austin community. The executive committee feels confident that we have found the ideal person for this important job. This is an exciting moment for the Austin Sunshine Camps, as it represents an opportunity for our beloved organization to take the next step and fully transition from a volunteer-operated to a professionally operated organization. 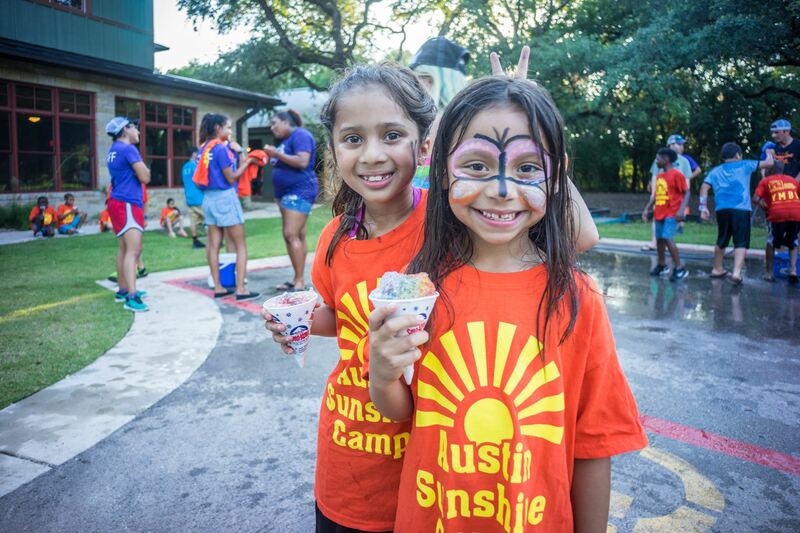 This exciting shift will allow the Austin Sunshine Camps to fully develop into the larger, more stable, and well-known community gem that we supporters all believe that it is. With Erica at the helm, we have much to look forward to. Lastly, I want to acknowledge the extraordinary contribution of our chief operations officer, Jenny Stucky, who has served our organization incredibly well as executive director over the past five years. We are so grateful that she will now focus her efforts and passions solely on further developing our summer camp and afterschool programming, ensuring that we are providing the absolute best possible experience for the kids that walk through the doors of our camps. 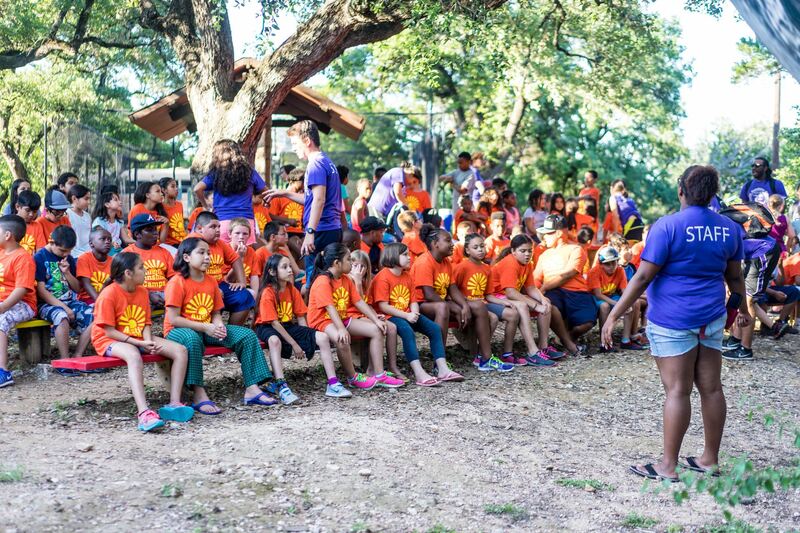 The exceptional growth and strength of the Austin Sunshine Camps is credit to Jenny’s leadership and dedication. We shall remain ever-grateful. Thank you to the Austin area media for your coverage of this historic community milestone. On June 25, 2015, Austin Sunshine Camps and the Young Men’s Business League marked the completion of their $3.5 million capital campaign and the culmination of a lot of hard work and generosity from many dedicated individuals, organizations, and area businesses including IE2 Construction Inc., Furnishing Dreams, IKEA Round Rock, Mabee Foundation, Nelson Puett Foundation, and the YMBL Sunshine Foundation. 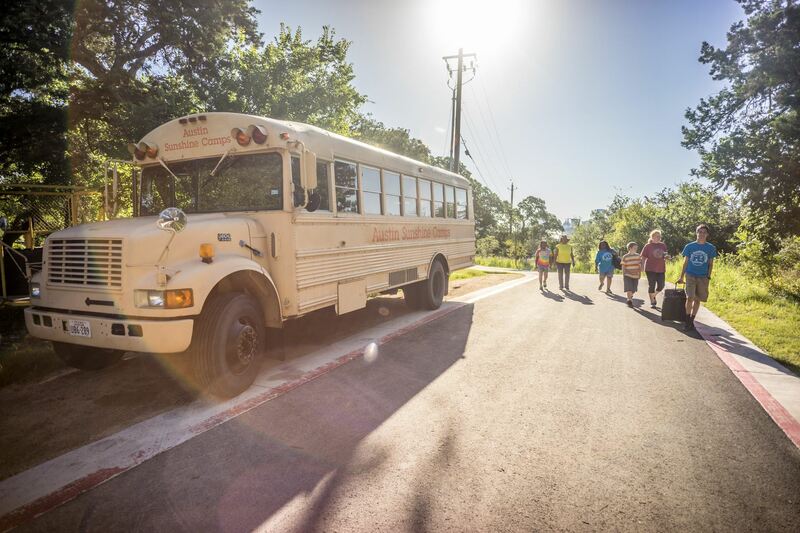 The new facility increases capacity by 50% by expanding the number of camper bunk rooms from 8 to 12, thus allowing the programs to serve over 1,000 Austin area youth at no cost to them or their families. The new facility also includes a computer lab, library, multiple programming rooms, an expanded kitchen, and office space for the staff. The previous facility, built in 1932, was last renovated in the 1970s. Enjoy this audio recording from our May 2015 luncheon, featuring guest speaker Shawn Bose, CEO / Co-Founder of Deily.org. YMBL's March Membership Drive Starts Today! Today kicks off YMBL's March Membership Drive! This is an opportunity for you to reach out and encourage that friend, family member, or co-worker you feel would be a great fit for YMBL to join. Every referral you make resulting in a membership this month (i.e. DUES PAID) enters your name into a raffle to win a $100 gift card to No Va Kitchen on Rainey Street. YMBL is only as strong as its membership, so I hope each of you will refer quality gentlemen who could have a mutually beneficial relationship with us. The best way to refer a prospect is by filling out our online Refer-a-Friend form or by emailing the candidate and copying Chris Miller (cmbaylor2007@gmail.com). We'll take it from there! Enjoy this audio recording from our first luncheon of 2015, featuring guest speaker Dan Graham, CEO of BuildASign. All information in the summary references campers who attended unless otherwise specified. 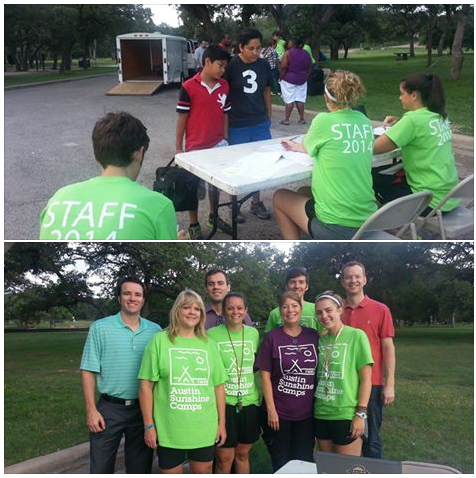 In 2014 we served 495 campers at the Lake Travis facility. We had 1080 campers make an enrollment request – their parents either sent in a paper application or completed the initial registration request online. We received completed applications from 607 parents. There were 70 no-shows and 38 withdrawals/cancellations. Thirty percent of campers this year came from households with income less than $14,999 per year, and 46% of campers were receiving food stamps. Hispanics/Latinos were the largest ethnicity group, at 45%, with African-Americans and Whites making up 33% and 15% respectively. Boys made up 53% of campers this year, while girls made up 47%. The most popular age group was the 8-9 year old boys, while the least popular was 12-13 year old girls. Word of mouth was the most popular form of advertising, with 114 applicants saying that’s how they heard of us. Geographically, the East Riverside area was the most popular source for campers, sending 35. Pflugerville was second, sending 28, and the Rundberg area, South Manchaca area, and East Austin round out the top 5, sending 27 each. We've got a full house at the Travis Camp, with roughly 70 campers signed up for this week's summer camp. All the YMBL members and their assigned campers to pick up are excited to get out there! Thanks to Jenny, Julie, Derek and Molly for being so prepared for such a big undertaking. And welcome to 2014's summer camp staff! More photo to come.